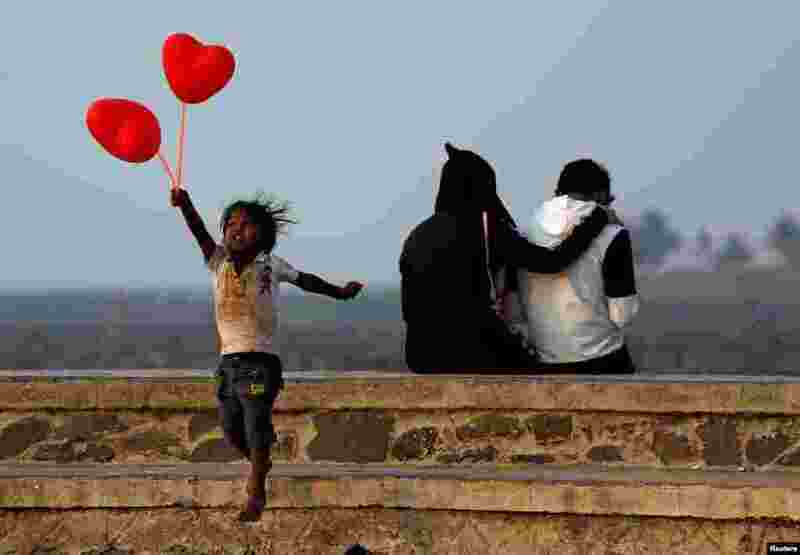 ١ A child jumps from a promenade after attempting to sell heart-shaped balloons to a couple on Valentine's Day in Mumbai, India. 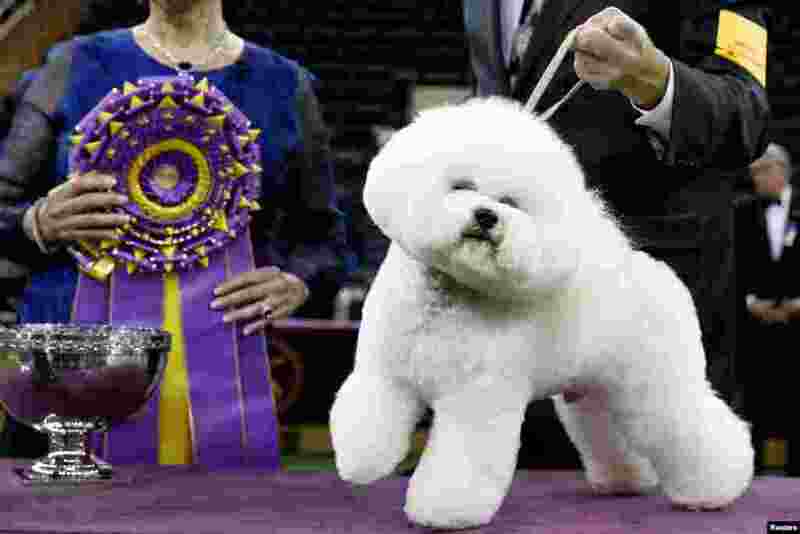 ٢ Flynn, a bichon frise and winner of Best in Show poses after winning the 142nd Westminster Kennel Club Dog Show in New York. 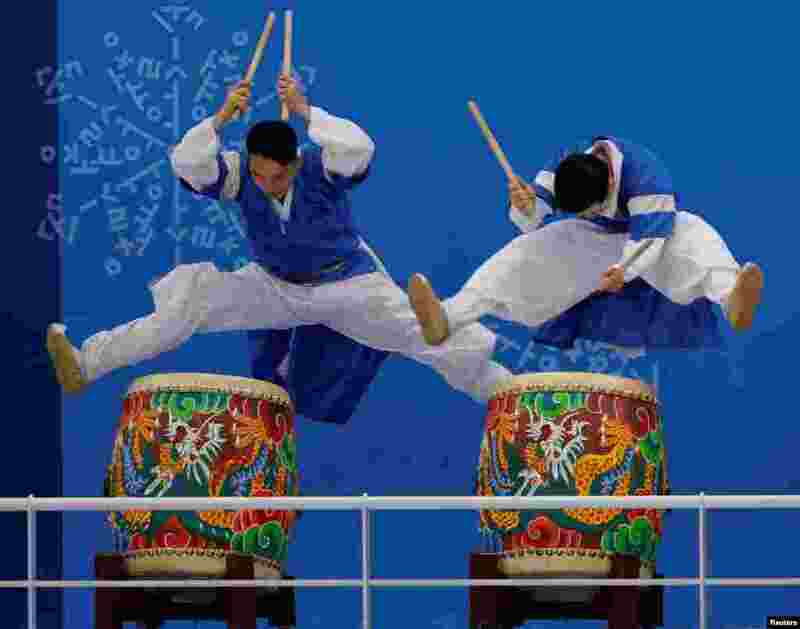 ٣ Drummers perform prior to the women's ice hockey match between Sweden and Switzerland at Kwandong Hockey Center in Gangneung, South Korea. 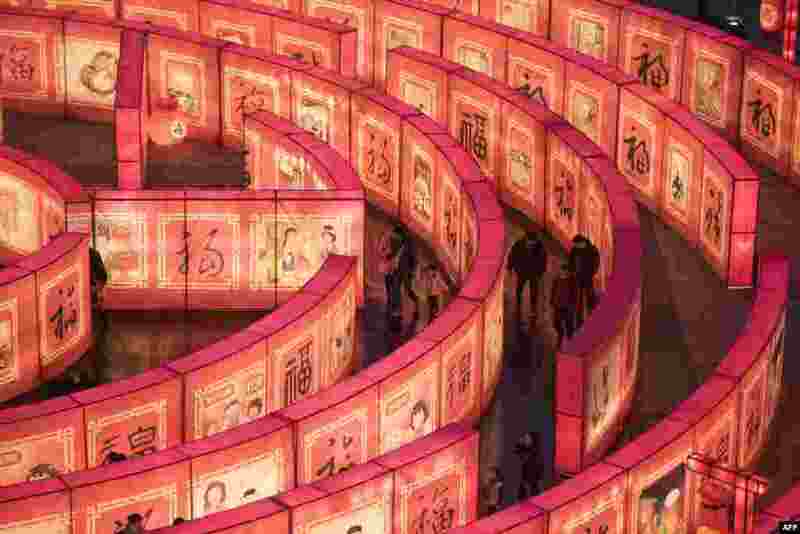 ٤ People walk in a maze at the Tang Paradise Park in Xi'an, Shaanxi province, China, ahead of the coming Lunar New Year, marking the Year of the Dog.